The soothing scent of lavender relaxes and calms while this soap-free body wash gently cleanses, soothes and moisturizes skin. Features convenient pop-top packaging for ease of use in the shower and bath. Formulation: Lavender essential oil has a balancing, soothing effect on the skin and senses. Sandalwood essential oil tones and revitalizes. Avocado oil with plant-derived glycerin supports the skin’s moisture balance, helping to prevent dry skin. Sunflower seed oil is lightweight, calming and refreshing while quince seed extract hydrates, infusing the skin with moisture. I've been using Ahava shower gel for years- but wanted to try this one because of the scent. Love it! It's a great soap and the scent is delicious without being overpowering. I hope it will eventually be available in a larger size. I would have to say this is my favorite of the body washes. I love the smell. It isn’t overpowering. I love the creamy consistency and how it doesn’t dry out my skin. Body wash has a great, creamy consistency and lathers on smoothly. After the shower, my skin feels smooth and supple, and it smells amazing. I found the Lavender body wash to be deeply soothing and moisturizing. I was refreshed and it was truly calming like a mini spa but even deeper. Not until I was inhaling the lovely healing aroma did I realize how much I needed to relax and restore my breathing rhythm. Simply lovely! This body wash a a lovely, gentle scent and feel to it, all the body washes as the perfect balance of creaminess and lather. I didn't expect such a great lather with this! I enjoy this body wash very much. It is gentle and the lavender scent is subtle. I almost wish it had a stronger scent, but that would probably involve ingredients that are not "natural" or good for my skin. It lathers up well and doesn't leave any residue. Such a wonderful scent to get me going in the morning! 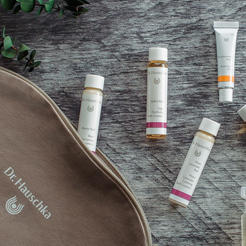 This is my favorite body wash from Dr. Hauschka. 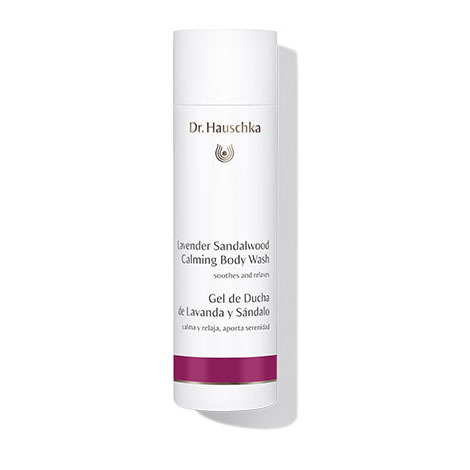 I love the combination of lavender & sandalwood - it truly is calming, the gentle scent isn't artificial or over-powering, and it is effective as a body wash! Not drying at all and my body seems to like it. I use it when I shower (which is normally every-other-day) and then when I do "sink-baths" on days between full showers. This body wash smells great. It's really good for my sensitive skin. Also a great gift. Apply to damp skin, lather, then rinse. Formulation is gentle and smooth enough to be used as a moisturizing shaving cream.